Description: It includes a registry cleaner and is able to display various information such as your startup entries, several histories (even index.dat files), installed applications etc. 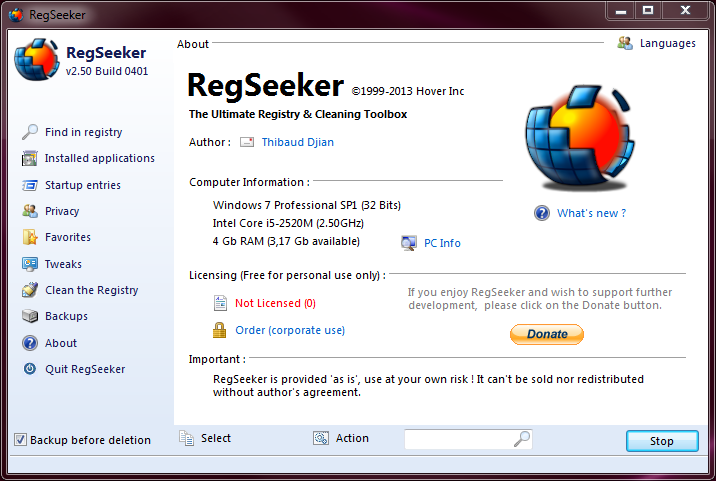 With RegSeeker you can search for any item inside your registry, export/delete the results and open them in the registry. RegSeeker also includes a tweaks panel to optimize Windows, and a file tool to search for duplicate files and invalid shortcuts.